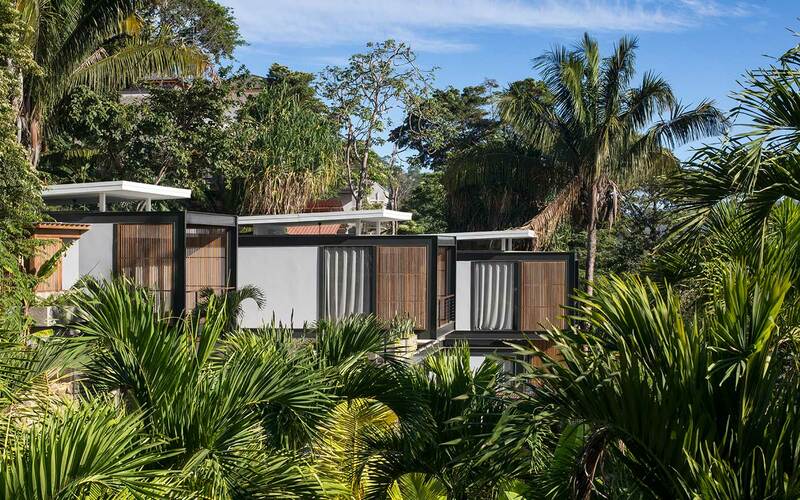 Steel and wood frames diffuse inside-out boundaries in Costa Rica surf town. 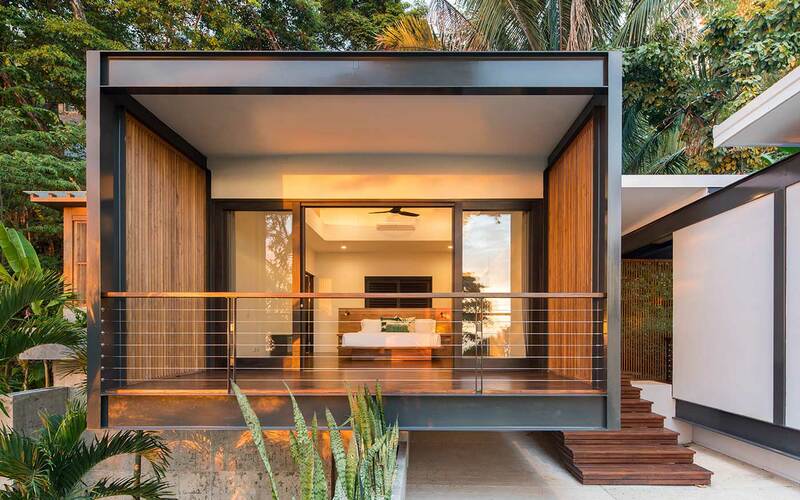 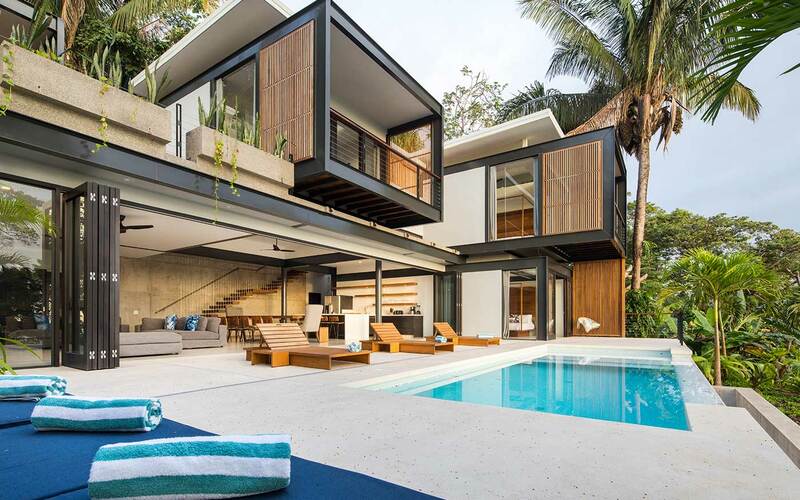 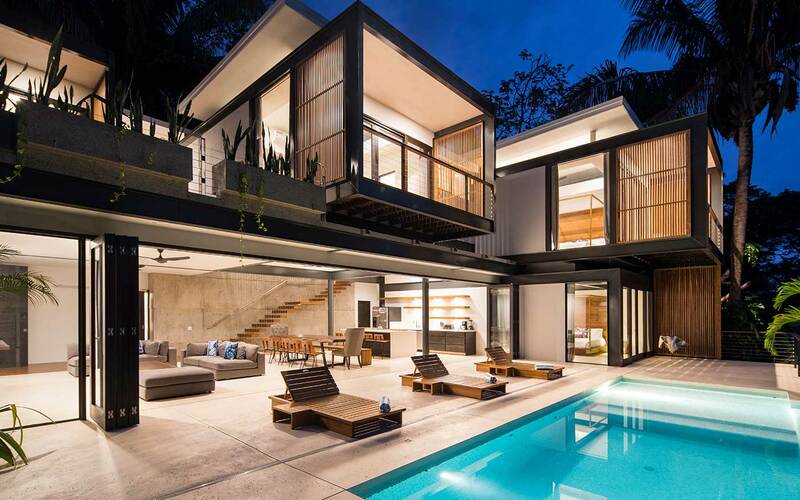 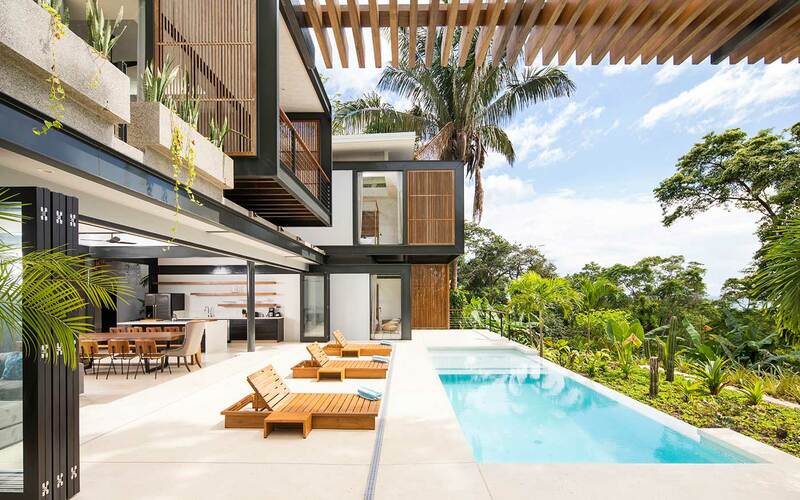 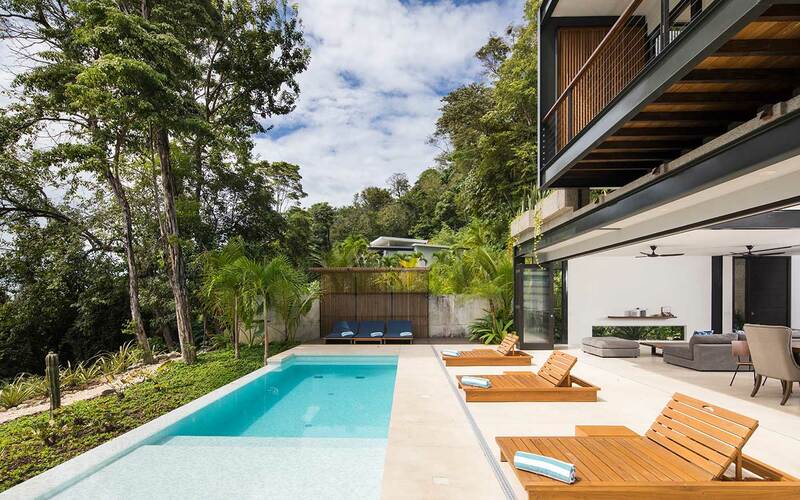 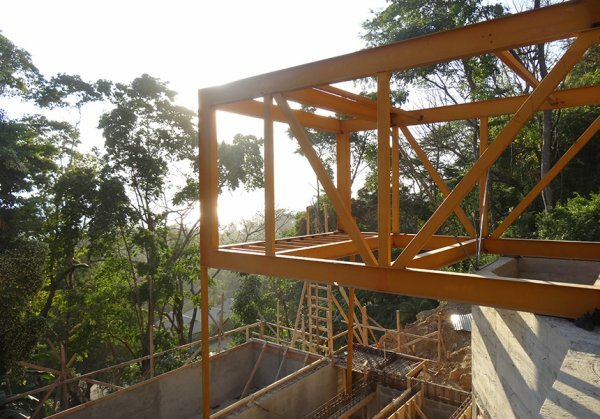 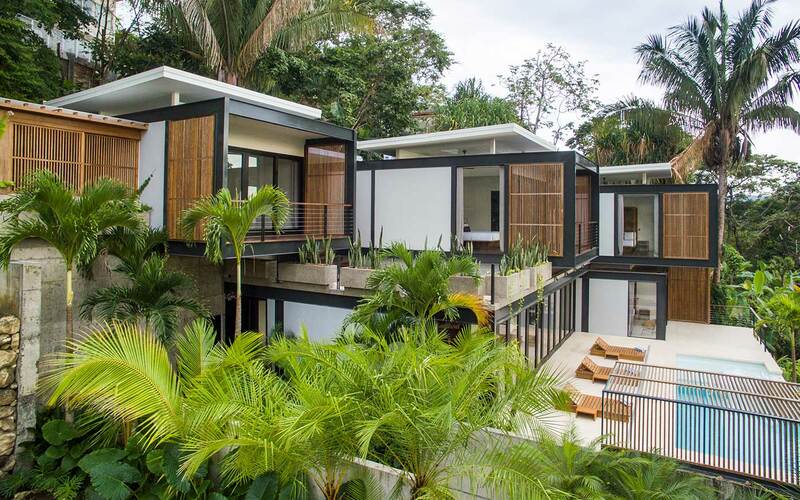 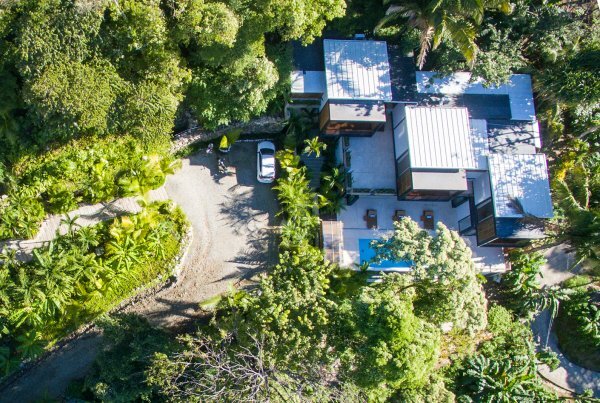 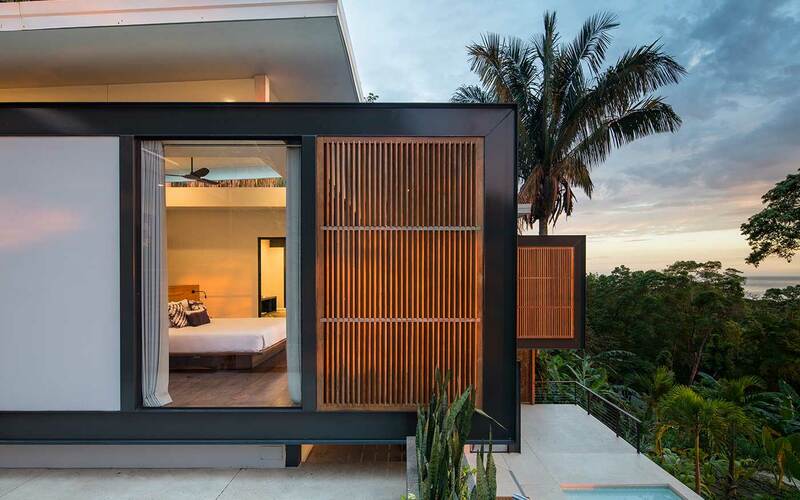 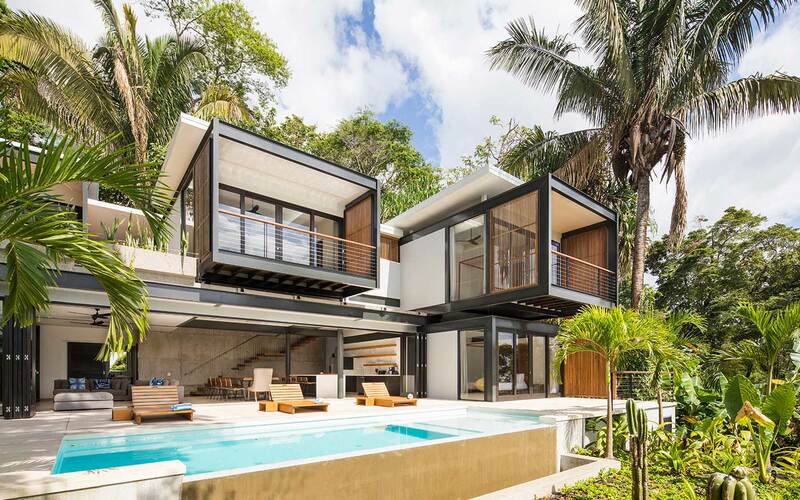 Set in the rainforest of Santa Teresa, Costa Rica, two modern homes project out of the landscape and are defined by a series of steel frames that bring the best modern methods of construction to a tropical location. 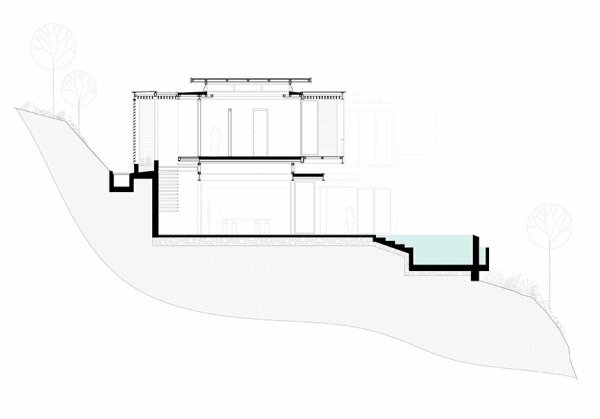 The use of large steel I-beams and concrete is a tenet of the international language of Modernist architecture and Studio Saxe have taken this design approach and recontextualised it for contemporary use. 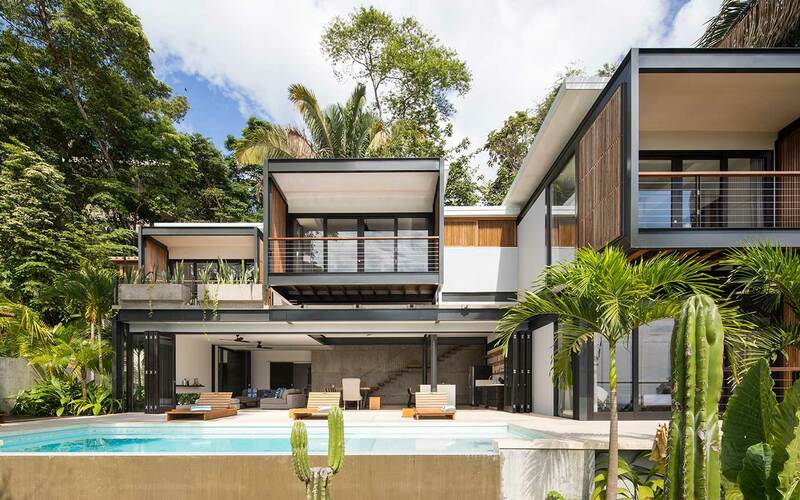 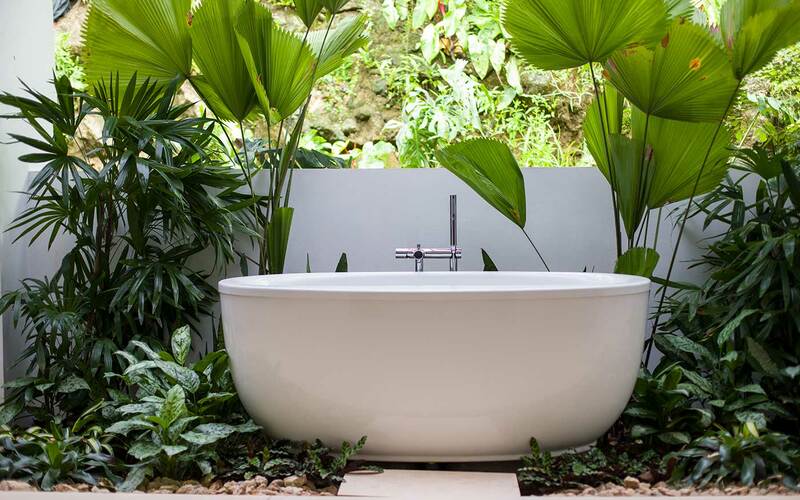 As a sustainable architecture firm rooted in Costa Rica, Studio Saxe is committed to a search for authentic Central American tropical architecture. 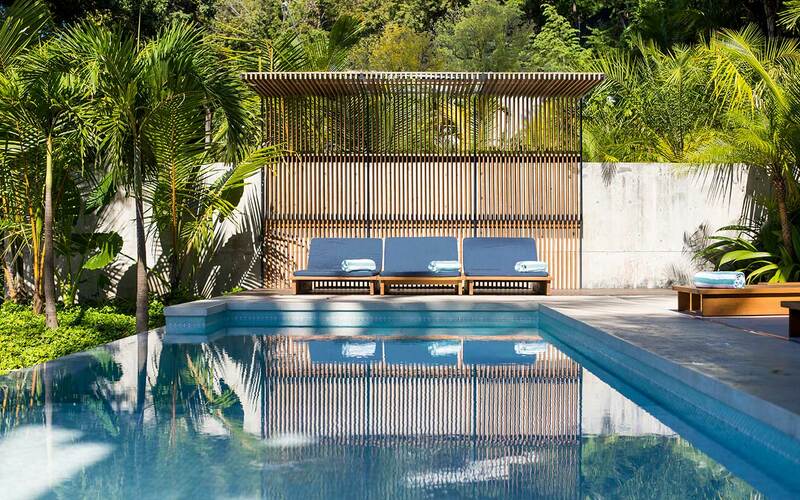 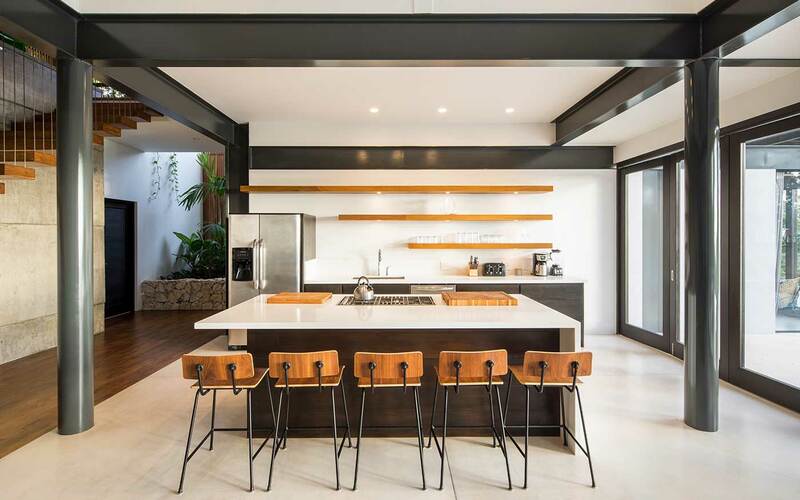 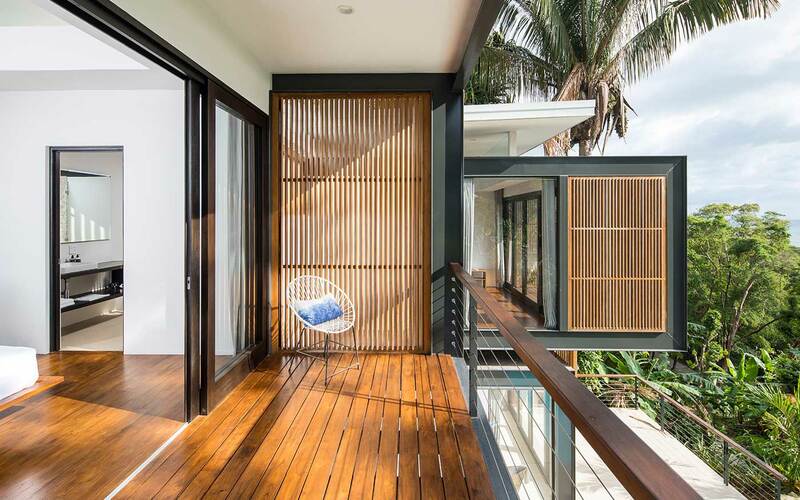 The raw materials of steel and concrete are balanced with the careful use of crafted wooden screens and floors, to ensure the design of these rental properties is rooted in local traditions and building techniques. 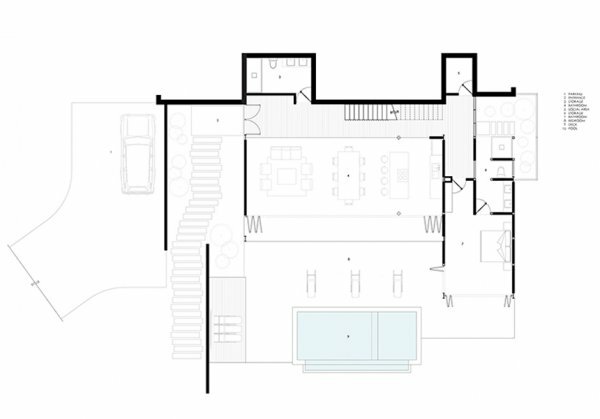 The black metal frames create cantilevered openings that hover over the social spaces below, creating a blurred distinction between inside and outside areas and between private and more communal atmospheres. 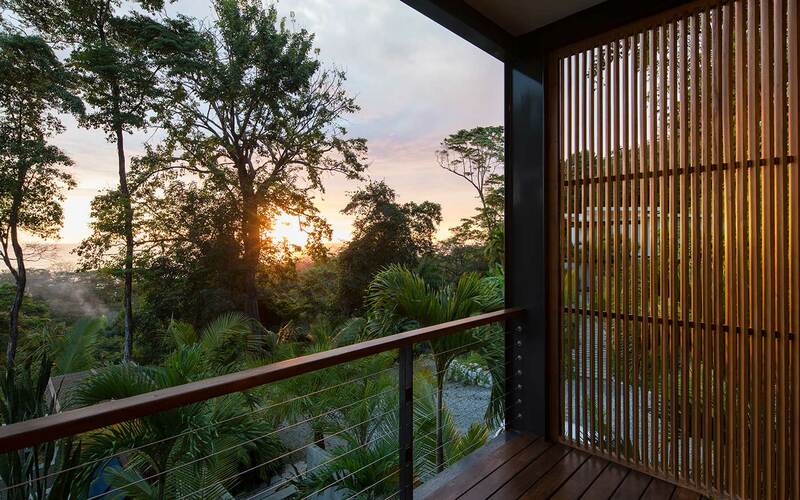 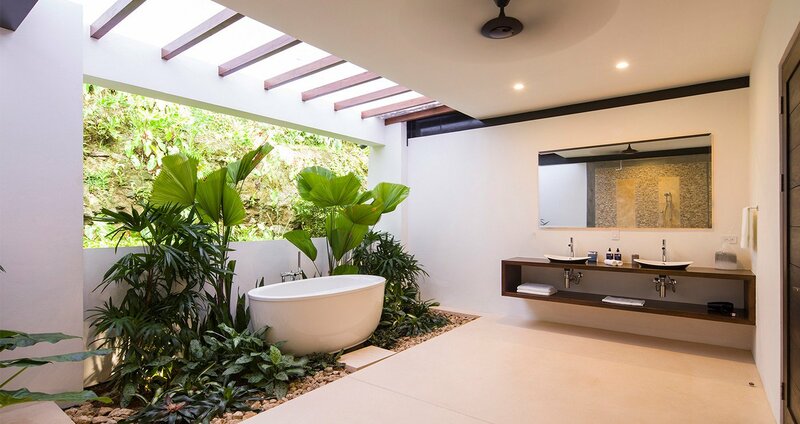 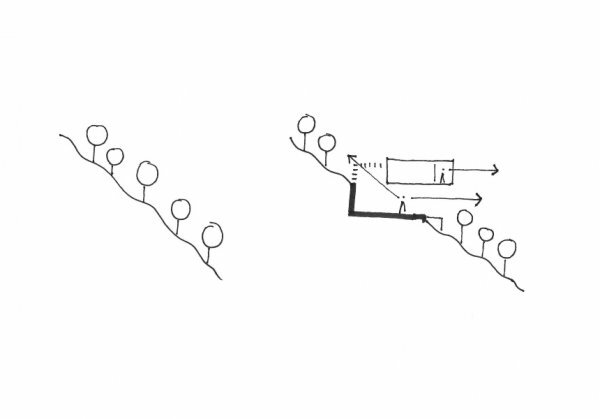 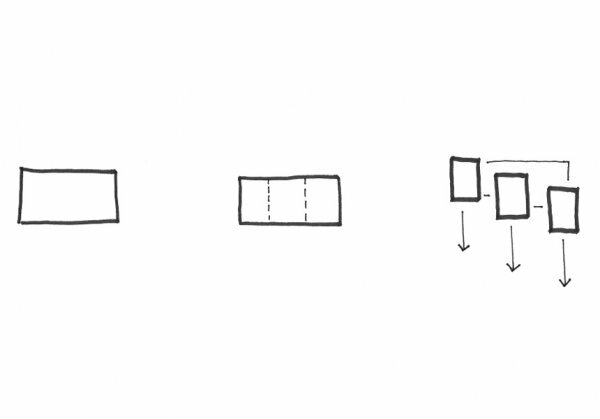 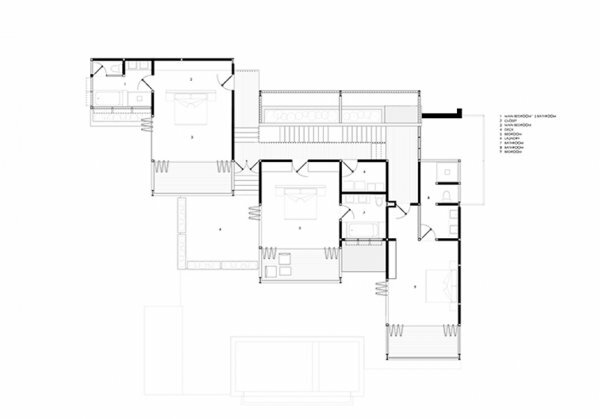 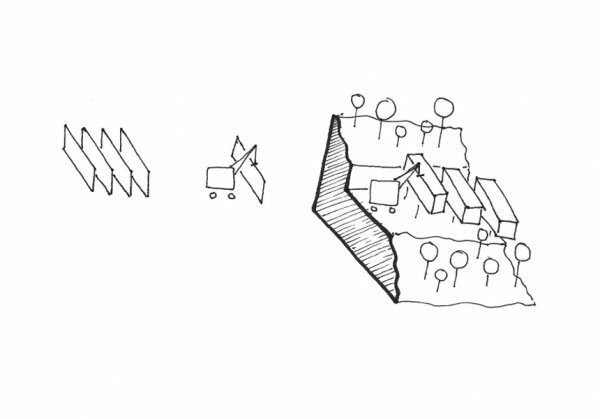 Large openings on every level of the building make the building seem lightweight and they connect the inhabitants to the surrounding natural environment. 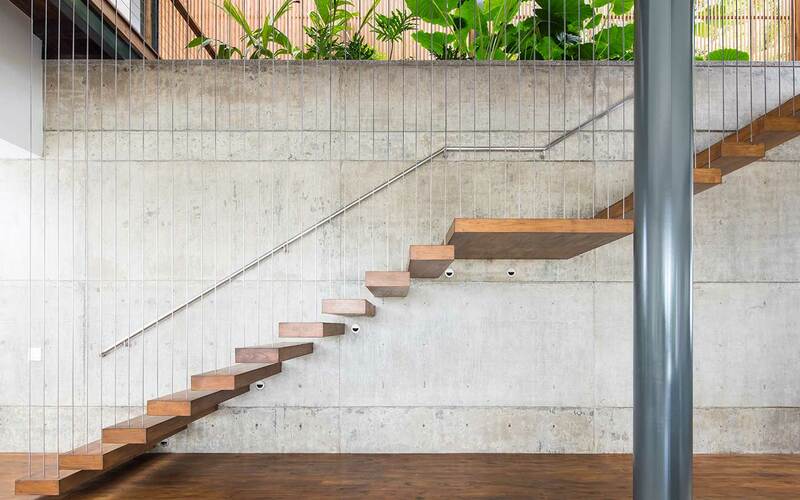 A delicate timber staircase appears to float from one floor to the other, suspended by the finest steel cables. 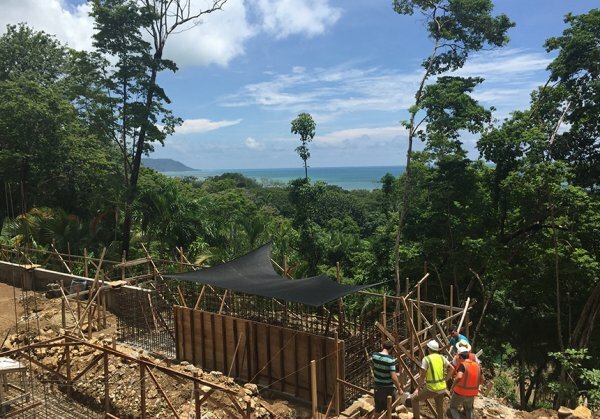 The town of Santa Teresa on the pacific coast of Costa Rica has become a multicultural hub, renowned for its large waves and untouched nature. 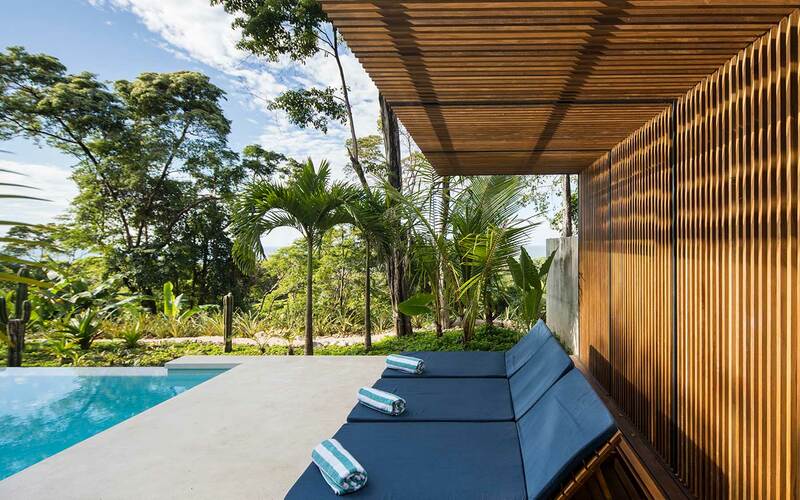 Joya Villas is situated on a hilltop, with its main terrace directly overlooking one of the best surfing breaks in the region. 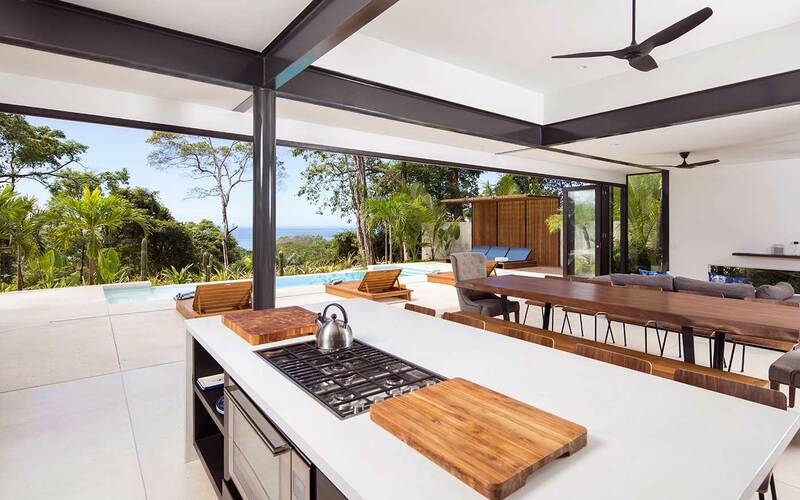 People have rented the homes can enjoy the views of the best swells from the comfort of their infinity pool or simply walk down to the beach to enjoy.